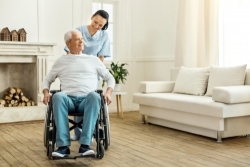 For clients who are unable to go to the bathroom by themselves, our caregivers at Western Slope in Home Care can provide them with toileting assistance. This service can also be provided for aging seniors and disabled individuals who may have difficulties in going to the bathroom. Please feel free to call us at 1-855-204-0369 / 970-878-7008 for more details. You can also Set an Appointment now.